Author: Gerritsen, Tess Set In . . . 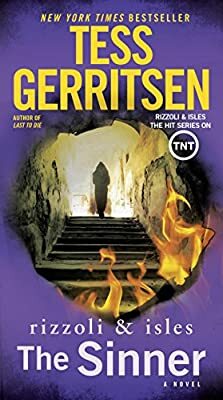 Description: This ebook edition contains a special preview of Tess Gerritsen’s I Know a Secret. Not even the icy temperatures of a typical New England winter can match the bone-chilling scene of carnage discovered at the chapel of Our Lady of Divine Light. Within the cloistered convent lie two nuns–one dead, one critically injured–victims of an unspeakably savage attacker. The brutal crime appears to be without motive, but medical examiner Maura Isles’s autopsy of the dead woman yields a shocking surprise: Twenty-year-old Sister Camille gave birth before she was murdered. Then another body is found, mutilated beyond recognition. Together, Isles and homicide detective Jane Rizzoli uncover an ancient horror that connects these terrible slaughters. As long-buried secrets come to light, Maura Isles finds herself drawn inexorably toward the heart of an investigation that strikes close to home–and toward a dawning revelation about the killer’s identity too shattering to consider.